Tycoons like the Bollorés, Lagarderes and Murdochs are often accused of mistreating minority shareholders. The Mail’s Rothermere family, though, is penalising itself through a spinoff. It’s a testament to strong UK rules and a sop to investors whose stakes have underperformed. 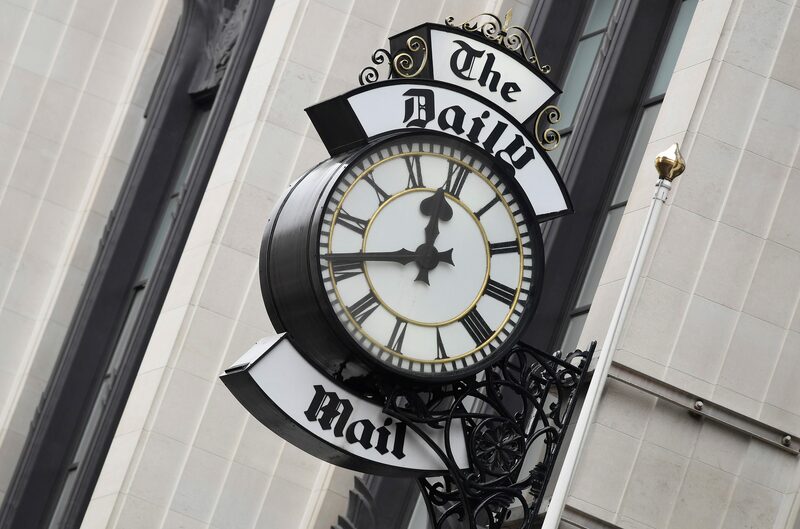 A clock face is seen outside of the London offices of the Daily Mail newspaper in London, Britain, April 28, 2018. Daily Mail and General Trust on March 3 said it plans to return all of its shares in Euromoney Institutional Investor and 200 million pounds of cash to eligible shareholders. DMGT holds more than 49 percent of Euromoney, which provides business-to-business information. DMGT Chief Executive Paul Zwillenberg said in a statement that in total the distributions would result in almost 900 million pounds of assets being returned to shareholders, who “will benefit from direct ownership of Euromoney while retaining exposure to a simplified DMGT Group”. DMGT said that eligible shareholders would be holders of A Shares other than Rothermere Affiliated Shareholders and the DMGT Employee Benefit Trust. Shareholders affiliated to Lord Rothermere, whose foundations exist to hold the family’s interest in DMGT, will not participate in the share distribution and will limit their receipt of the cash. DMGT shares were up 5 percent to almost 6.80 pounds at 0830 GMT on March 4.